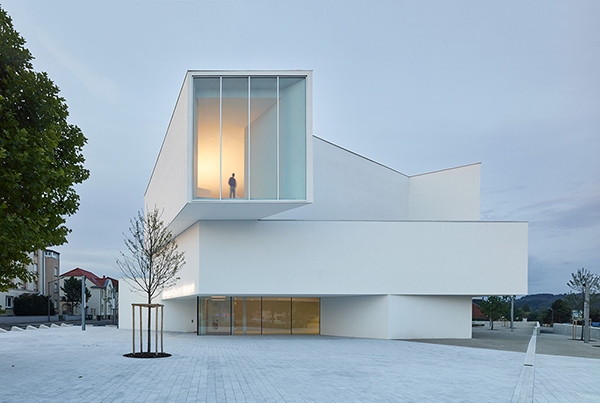 The French industrial town of Freyming-Merlebach has acquired a symbol of its regeneration. 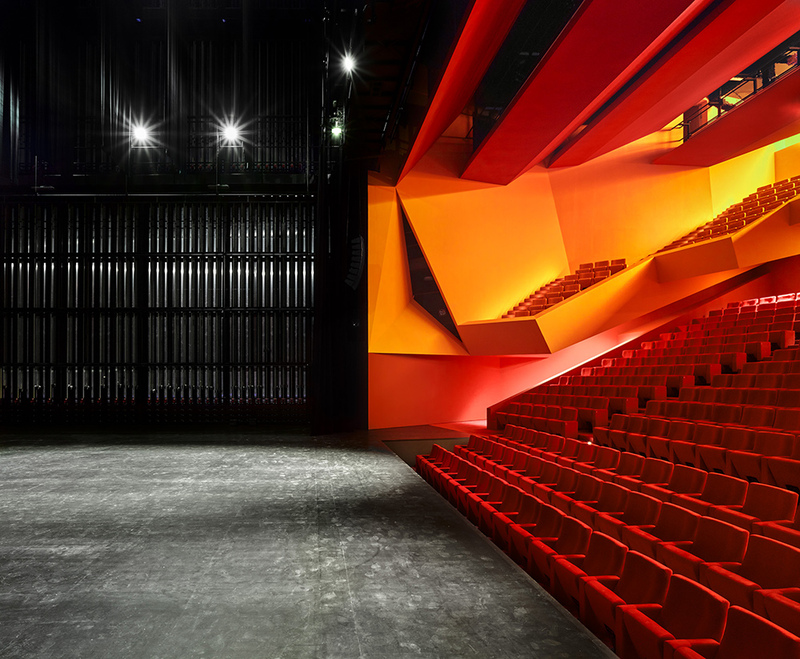 The architectural practice of Dominique Coulon & associés designed the new “Théodore Goudy” Theatre and, in the process, redefined public space. The theatre establishes a creative dialogue with the heterogeneous urban landscape, morphing to fit within the context and logic of existing flows. The unusual shape and dimensions create an evocative silhouette, with lines that ensure the visual transition between different sections, while also maintaining the same scale as the city. 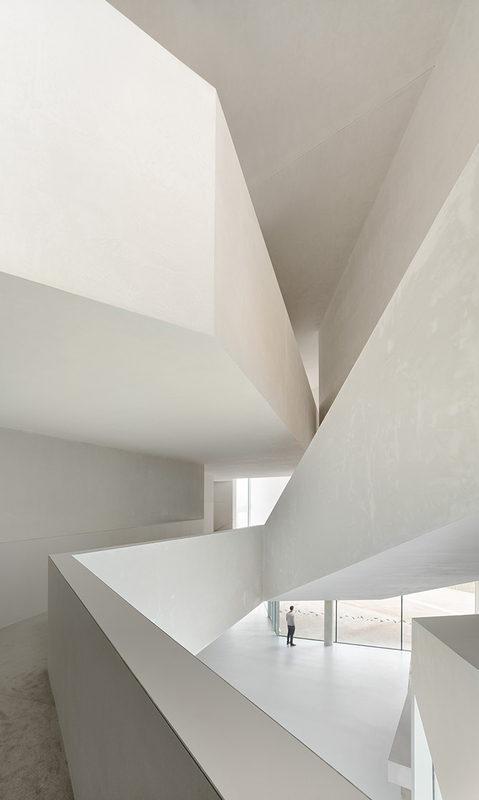 The visitors’ interest is drawn to the volumes: at the upper part of the building, the foyer is moved to indicate the entryway, while below, the transparent elements provide elusive glimpses of the wealth of internal itineraries, inviting people in. The foyer occupies a vertical space with a path created by the obvious interconnection of the staircases leading to the amphitheatre. The oblique lines that duplicate the complex geometry of the structure induce a subconscious expansion of the dimensions, creating a sense of space. The uniformity of the unprocessed plaster and the softness of the carpeted floors create the sensation of being inside some sort of cocoon. At the same time, as natural light moves over the course of the day, it floods the public areas, reinforcing and revealing the building’s various aspects, shapes, and dimensions. This evolutionary dynamic adds to the overall evocativeness of the building. The route to the main hall is intentionally theatrical and dramatic. The amphitheatre creates a sharp contrast with the white facade of the external skin and the beige color story of the foyer. 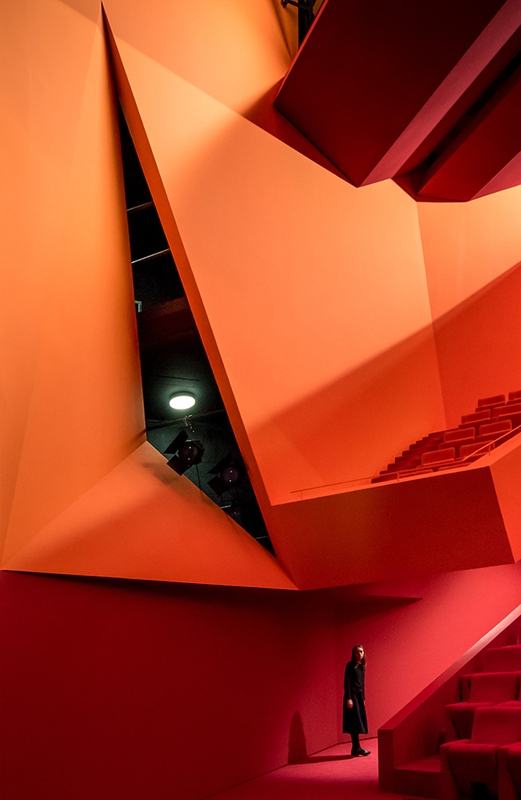 Red, pink and orange add density to the space, confirming the amphitheatre as the main element of the entire project.